We’ve looked into the matter ourselves, though, and we came away impressed. A place’s businesses and companies are often the deciding factor in whether its lovely green goals are achievable or destined to remain as aspirations. 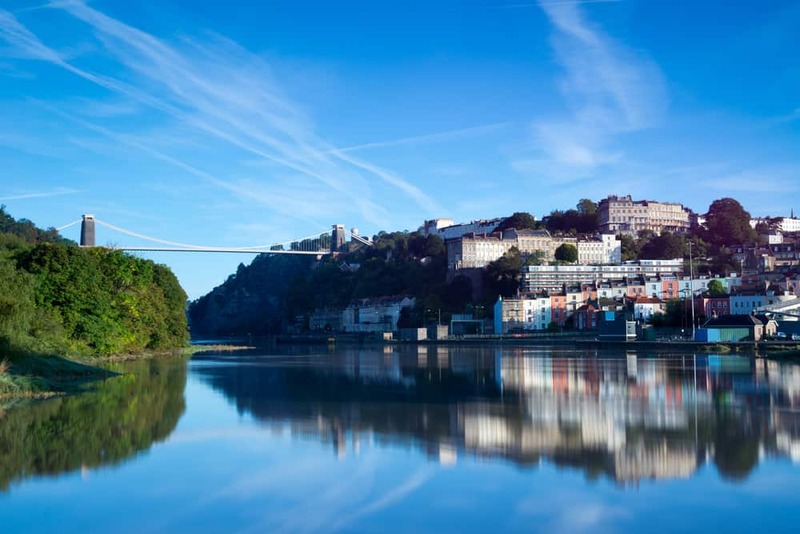 Bristol’s green companies are certainly making the practical steps, and have the requisite eco-friendly innovative spirit that should ensure that Bristol’s green ambitions for the future are met. So here’s our overview of some of the companies that grabbed our eye, as well as some of the more entrepreneurial not-for-profits and charities, and how they’re helping Europe’s 2015 green capital become an altogether greener place. Green transport is vital to a city seeking to be environmentally friendly. As we’ve said, much of the city’s transport system is currently full of congestion, and there’s a lot of work to do. However, the city’s companies and population have already begun to tackle the problem with enthusiasm and verve – and from our point of view, we’re sure there’ll be a lot more innovative research and development in this area. These are some of Bristol’s transport companies that are worth keeping an eye on if you’re interested in green and eco technology. Cycling is healthy, environmentally friendly, and a key part of Bristol’s drive towards reducing congestion and improving air quality. Encouraging cycling, though, is a delicate matter. Until a certain critical mass of Bristolians regularly cycle in a city, roads can be unsafe to cycle on due to low demand for cycling infrastructure and drivers failing to anticipate the presence of cyclists. This, in turn, discourages citizens from taking up cycling, meaning that we don’t reach that critical mass – and the entire endeavour can feel a lot like struggling uphill. Bristol-based Fusion Processing have created an innovative and exciting solution to this problem, in the form of CycleEye. Fitting neatly to the side of a bus, Fusion Processing’s CycleEye uses radar and camera sensors to check for cyclists in dangerous positions, sending an auditory alert to the bus driver if it thinks there’s an issue. It’s exactly the kind of green research and development project we love to see. The Bio-Bus is a gift to journalists throughout the UK, combining the feel-good appeal of a pleasant ecological story with the share-ability of a gross scatological story. Yes, this is Bristol’s possibly-affectionately-monikered “poo bus”, also known as the “Number 2”, and it’s been helping headline writers get in touch with their inner child since November 2014. 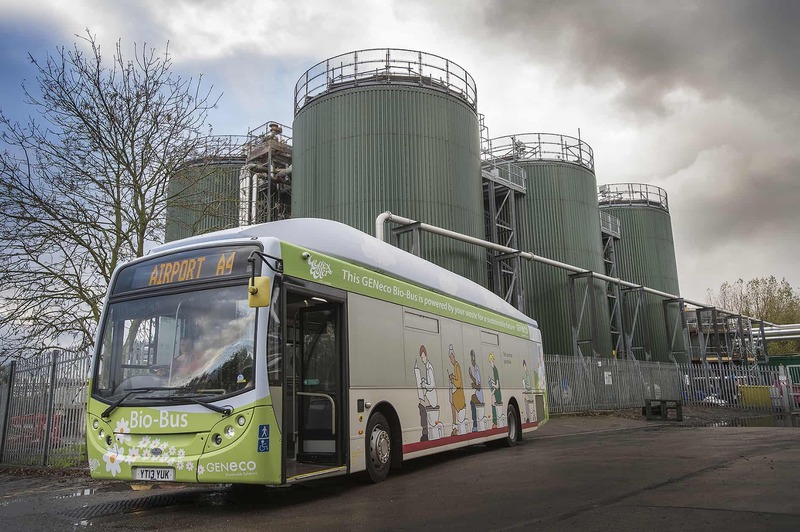 Running on biomethane gas produced by human waste and food waste, it’s extremely environmentally friendly – methane is a much more damaging greenhouse gas than even CO2 (in the short term), so being able to use it as a fuel that has fewer harmful emissions than diesel is hugely beneficial. An incredibly inventive and resourceful development that’s resolved numerous technological uncertainties around using biomethane for fuel. It’s not just small young companies that are making moves in green transport in Bristol – big, established players like First West are rolling out efficient new buses. These ‘micro-hybrids’ are, according to the First West site, as much as 30% more fuel-efficient than their current vehicles. By investing in new, fuel-efficient technologies and new systems, First West are maintaining a substantial financial commitment to green research and development. Green food and drink really plays to Bristol’s strengths. Creating sources of sustainable, local food is much easier when you’re building on the back of a strong community and have access to a market that’s already ethically conscious. Thali Cafés are innovative Indian restaurants found throughout Bristol. Their unique selling point is very environmentally friendly, healthy, and good value too. Instead of paying a high price for a standard salt-filled takeaway buried in packaging, you can pay an initial amount for a set of tiffin carriers, followed by a relatively small amount for meals made from seasonal ingredients. They also provide support for FRANK Water, a charity working to increase access to safe and hygienic water. Environmentally friendly fish have attracted funding from Bristol Green Capital and a respectable amount of press. Especially interesting are aquaponic systems, combining fish and plant-life for a miniature self-contained ecosystem, such as those run and demonstrated by the Bristol Fish Project. The challenges and opportunities for aquaponics in cramped urban environments represent a great path for ongoing efforts to push the surrounding science and technology forwards. Skipchen are definitely not contributing to the Gross National Product, but they are definitely contributing to Bristol. The small, quirky kitchen (local to Stokes Croft) is a not-for-profit that’s politically active. Its main function is intercepting food that’s perfectly fine before it’s thrown in the bin and showing that it’s edible, like a Dad for the city of Bristol. Its secondary function is as a highly opinionated and articulate political voice on social media, especially big on issues of inequality and (naturally) sustainability. Construction in Bristol is quietly and increasingly adopting green technologies. Efficiency of houses once they’re built is one thing, but increasingly customers, developers and governmental authorities are seeking to understand the efficiency of the processes that go into building houses, too. The Bristol Green House website offers one window onto a distinctly lo-fi, DIY route, while AEOB are raising serious investment for a more communal approach. HAB housing are Kevin McCloud’s creation, who you may have seen being droll about nice houses on Channel 4’s Grand Designs. HAB stands for “happiness, architecture, beauty”, and these ideals are reflected in their business priorities. They take a low-impact, sustainable approach informed by McCloud’s affinity for precision and engineering quality in housing. They offer an impressive new take on construction that even allows the client to build parts of their home themselves, saving money in the process. Attempting to take on what they see as overpriced, undersized, unimaginative and unsustainable housing, they’ve got a lot of ambition, exposure, and the talent to back it up. Greenheart are a company who excel at green technical innovations, and as such are a fantastic example of a company who could benefit from R&D tax relief. Specialising in energy efficiency, they take on projects both small and large, and combine innovative ideas from small eco-home builders (as exemplified by the Bristol Green House website, above) with more cutting-edge energy-efficient understanding and technology. Earthwise Construction offer eco-friendly retrofitting, refitting and construction services in Bristol. They’re a more conventional green construction company than the other two we’ve looked at, but they still push expert professionals to push technical boundaries in the course of their work. Using materials and techniques tailored especially to your build’s situation makes for a great deal of necessary testing and research. Resource Futures are an independent environmental consultancy business based in the Create Centre. The Create Centre is one of Bristol’s most important hubs for green and ethical businesses, not-for-profits and charities. Their work focuses heavily on research, data analysis and how they can use this research and analysis to improve corporate attitudes towards waste and waste reuse. They often work closely with other Bristol companies, helping to spread the green – in both senses of the word. Bristol’s green companies, and the not-for-profits and charities they often work and collaborate with, cover a huge amount of ground. By covering such a wide area, they offer a strong network of existing sustainable companies to draw on, learn from, interact with and build with. This puts Bristol green companies in a unique position to capitalise on their resources, helping everyone in the sector move forwards together. That’s a classic example of the kind of situation R&D tax credits were designed to reward, with bold new technical solutions helping everyone in the industry progress. R&D tax credits aren’t an option for some charities and not-for-profits, however CICs, social enterprises and charities that are liable for Corporation Tax are able to benefit. A lot of green companies are certainly doing lot of innovative things, and may not be claiming enough R&D tax relief, so this is an area where we can really help. Overall, we believe that Bristol’s green companies more than justify Bristol’s status as Europe’s green capital, and we think that many green companies could benefit from our help. If you’re not sure, get in touch for a free and easy chat about your company’s eligibility for R&D tax credits. We’ll see if we’re a good match for your needs.